SCOB - Science Centre OBservatory: Happy Belated Mid Autumn Festival! Scobbers were so busy that we forgot that Mid Autumn Festival has past! 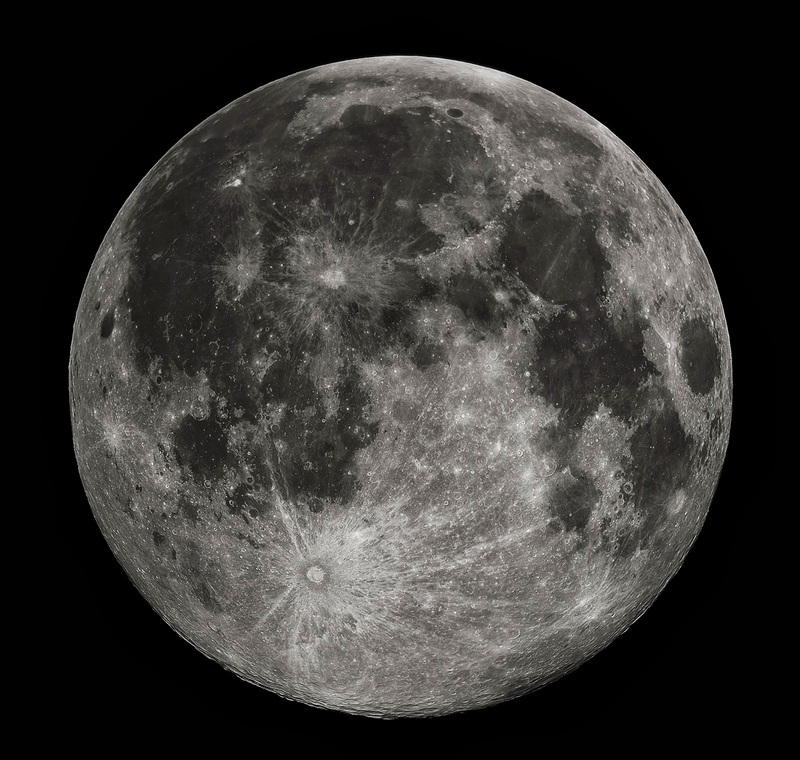 Other than filling ourselves with mooncakes and playing with sparklers, we found out some amazing facts about the Moon that you might not know. Termed as "Giant Impact Hypothesis", most scientists think that the Moon was formed after a great collision between the Earth and a Mars-sized object 4.5 billion years ago. It explains why the Earth and the Moon spin in similar ways. Scientists also did some calculations to show that if the post-impact Earth revolves in a 2-hour period, i.e. a day is 2 hours instead of 24 hours, we can explain some of the observations. After the direct impact, the cores of the Mars-sized object and the young Earth fused. The collision made the post-impact Earth spin so fast that a significant portion of the Earth's mass was ejected to form the Moon. By the conservation of angular momentum (a quantity to describe an object's rotation), the Earth-Moon system has similar spin directions. Also, if the Moon was created from the Earth's material we can explain the fact that the Earth and the Moon have similar chemical compositions. For example the isotopes of oxygen and titanium were found to have identical ratios in both lunar and terrestrial rocks. The Mars-like object is commonly known as Theia. In Greek myth, Theia is a titan who gave birth to Selene the Moon, Helios the Sun and Eos the Dawn. That's why we use Selen- (or lunar) and Helio- to describe stuff related to the Moon and the Sun respectively. There is nothing hidden behind the Moon as shown in photos taken by lunar probes. 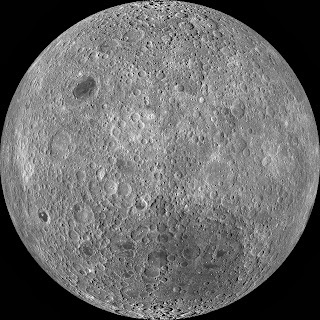 There are only craters at the far side of the Moon (the side that is not facing us). 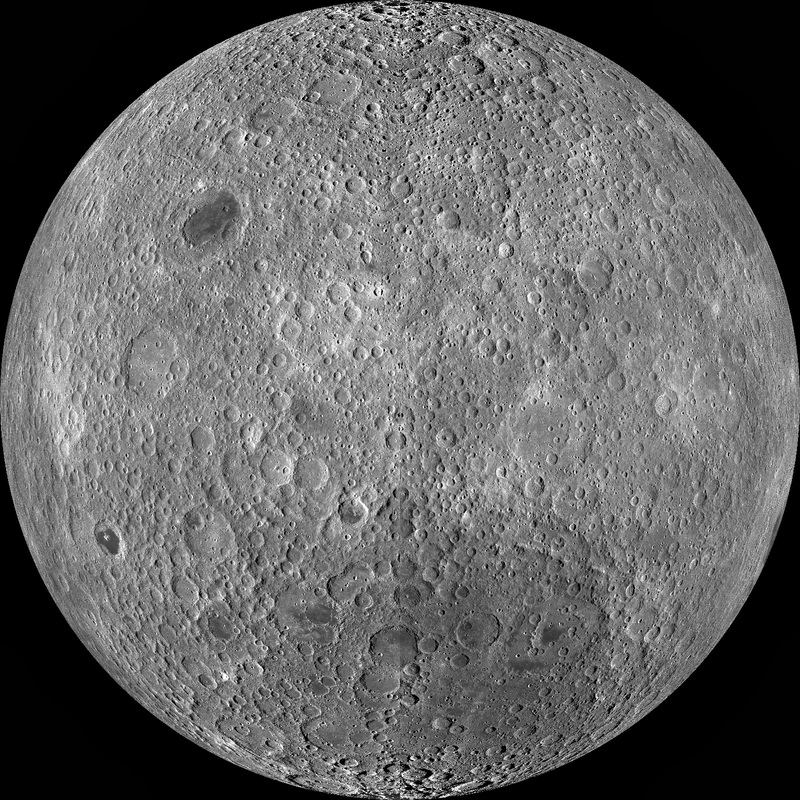 On the other hand, the near side of the Moon (the side that is facing us) has more interesting features. Apart from the craters there are valleys, mountains and maria (meaning Sea in Latin). Maria appear dark as they mainly contain iron compounds that are less reflective. 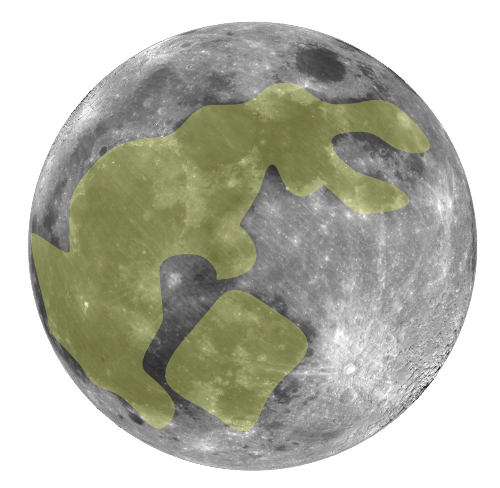 People in ancient times made up stories for the observed patterns, such as the Moon rabbit legend in Chinese culture. Do you see it in the following picture? Regarding why the Moon always faces with the same side, we need to know how gravity works. Every massive object in the universe attracts each other with a force called gravity. For instance, an apple drops to the ground due to the Earth's gravity (the apple also attracts the Earth, but the effect is very negligible due to the Earth's much larger mass). The strength of the gravity depends on the distance between two objects, so in this case the near side is more attracted than the far side is, making the Moon face towards the Earth with only one side. This effect is called "Tidal Locking". The Moon exerts a gravitational force on the Earth (and vice versa), pulling the water nearer to itself and causing high tide on the Earth. As the Earth rotates underneath the water (we can imagine Earth being a solid rocky ball covered by water), it tugs the tides and loses some of the rotational energy. As a result, the Moon picks up some of the energy and then speeds up, ascending from its orbit. On average, the distance between the Earth and the Moon increases by around 4 cm every year. It has an interesting side effect: as the Earth loses rotational energy it will rotate slower and slower. The length of a day will increase as a result, amounting to 2 millisecond per century. Wish to have 48 hours per day? Perhaps if you're still around after 4 billion years! M. Ćuk, S.T. Stewart (2012). Making the Moon from a Fast-Spinning Earth: A Giant Impact Followed by Resonant Despinning. Science Vol. 338 no. 6110 pp. 1047-1052.